Members, prospectives, and alumni came together for a dart tournament on March 21 at the Polish Hall on Pearl Street. Teams of two competed in a round-robin tournament for dart supremacy. Congratulation to the winning team Tyler and Lisa! JCI Brantford entered a strong squad in the 2013 Wheelchair Basketball Tournament in support of Participation House. Players included: Jeremy, Aaron, Billy, Lee, Henry, Rushelle, James, Dana, Brian, and Tyler. We did win a trophy but played hard and had a lot of fun. A good laugh was had when one of our players decided to shoot on our own basket... luckily, he missed. The Rotary Club of Brantford ran a very successful Clowns for Kids project in conjunction with the JCI Brantford Santa Claus Parade. Jeremy Voss and Rushelle Irons were presented with a $1,500 cheque today at the Rotary luncheon. Congratulations to Don Heys and the rest of his committee on another great year! Please see the picture in the scrapbook. The Region's Local Officer Training Session (LOTS) was held in Oshawa on Saturday. Chapters in attendance included: Brantford, Toronto, Durham, St. Catharines, and Ottawa. We touched on many important topics such as writing a Chapter Business Plan to growing membership. A big thank you to JCI Durham for the great hospitality! We have put a few photos in the scrapbook. With tears in my eyes and happiness in my heart, I will leave the position as President of JCI. Tears because the work is far from done, because I believe we could have accomplished more. Tears because I will go back to my beloved family that I missed so much in the last year. But also tears because I look back on a year with so many good moments, so many that it is hard to believe that the year is over already. I also have happiness. Happiness because I have seen so many young people who are willing to make the difference, happiness because there is so much work done, and happiness because there are so many years in front of us where we can move on together because being the JCI President is just a role, not the individual passion for doing good in life. But above all happiness because you all gave me the opportunity to do whatever was in my ability to serve this organization. Looking back at this incredible year is important, but we also have to look forward. My work will not stop. My presidential year may, but my energy to keep building this great organization and a better world has increased tremendously. Let me take you back to December 11, 2006, coincidentally JCI Active Citizen Day. On this day, the United Nations Secretary General Kofi Annan delivered his final speech at the Truman Presidential Museum and Library in Independence, Missouri. He spoke his last official words as a Secretary General and those words shared great lessons. Well those words did not end up being his last. As Secretary General, he inspired on the world stage in the same way his words during this final speech inspired me. I will take this opportunity to share his words with you in the hope we will all understand what our real task is in life. Kofi Annan talked about the five lessons his 10 years as UN Secretary General taught him. I have not served as president for 10 years, but I have seen a lot and learnt from his lessons as well as from the lessons in and outside our organization. His first lesson was that, in today's world, the security of every one of us is linked to that of everyone else. We all share responsibility for each other’s security. Kofi Annan claimed that nations’ sovereignty could no longer be used by governments to hide behind, or as an excuse to do nothing when crimes are committed in other countries. For JCI members around the world, borders do not exist. At least they do not in our values, hearts and passion. However, we create borders in our daily interactions not because we do not believe in world without borders, but because we are overtaken by emotions, led by history or overpowered by individualism. At these moments we forget that our individual or group related actions are breaking the promise to our values, hearts and passion. I am convinced that together we can make the difference and if we fulfill our JCI Mission and Vision we always do what is the best for all of us, even if there is a moment where it might not be the best for “me”. It is this brotherhood, which was so visible throughout the year when I was on my visits in Haiti, the Philippines and Japan, all hit by natural disasters. In all three countries, we took action from around the world through JCI Operation Hope to create security for our brothers and sisters in these affected areas. Unfortunately we do these things when Mother Nature strikes, but it is hard to find the support when individuals or groups of individuals struggle for leadership within a region or a country. In such cases you have a choice to take sides, to choose one group over the other or to choose several groups. But it is in these cases that we must help create bridges between factions to overcome common challenges in society. We will succeed if we realize that we can only make the difference by acting together. I know we can act together because of you. You all showed that this is possible during the year and during our General Assembly in Taipei, Taiwan. It is our passion and our will that is much bigger and makes it possible to create security for all people on earth. As active citizens (members, nonmembers, past members and incoming members of JCI) it is our responsibility to create the awareness of this value. Because six years after the final speech of Kofi Annan, this lesson is far from addressed. His second lesson teaches that we are not only all responsible for each other's security, but we are also, in some measure, responsible for each other's welfare. Global solidarity is both necessary and possible. It is necessary because without a measure of solidarity no society can be truly stable, and no one's prosperity truly secure. That is why; the UN Millennium Summit adopted a set of goals - the "Millennium Development Goals" - to be reached by 2015. All around the globe JCI members do projects to help achieve the UN Millennium Development Goals.- to build global welfare. Together, we took the decision in 2008 to start the JCI Nothing but Nets campaign. Since then, we have been working together in creating awareness, fundraising and spreading insecticide treated bed nets to end malaria deaths in affected areas. I saw with my own eye that one net in a family could bring back hope and inspiration into their lives. I also realized that there is a long way to go, to stop these malaria-transmitting mosquitoes from killing our children. But the fact that our global network after five years of making the decision is still going on, gives me hope that we can end malaria deaths and save the lives of millions of children in near future. I also realized throughout the year that making huge promises inside our meeting rooms does not suffice, but it must inspire us to take action outside so we can keep our promises we have made to the world and ourselves. I also had the privilege to witness examples of other UN MDGs in over 50 countries this year, activities that really make the difference and are helping the world to reach these eight goals. We all realize that there is a long way to go to create global solidarity, but the will to take action to accomplish these goals convinced me that JCI and more importantly the individuals behind our Organization will make it happen. For those who don’t understand what I am talking about or who want to see all of the individual and connected actions around the world, look it up through our social media sites and www.jci.cc. There are countless, wonderful examples of putting Passion into Action. I also want to invite you to be part of our social media and share all the activities you are doing so the rest of the world can become inspired from your actions. Kofi Annan's third lesson is that both security and development ultimately depend on respect for human rights and the rule of law. Although increasingly interdependent, our world continues to be divided - not only by economic differences, but also by religion and culture. That is not in itself a problem. Throughout history, human life has been enriched by diversity, and different communities have learnt from each other. But if our different communities are to live together in peace, we must stress also what unites us: our common humanity, and our shared belief that human dignity and rights should be protected by law. I have learnt over the past year that to ensure human rights for each and everyone in the world, we must be able to ensure them for ourselves. I understand that may sound contradictory, but in essence it is the way the world is built. Those who can feed themselves can have dreams. Those who have food can plan for the future. As Kofi Annan said, being different is not a problem, most of the time the problem is how we go about that. No one is better than the other; no village, city or metropolitan area can claim to be the best. We all have different needs and perspectives. We all need ways to feed ourselves. Sometimes things change in the course of a lifetime, but in the end there is not one place better on earth than the other. What every community needs are possibilities, to grow, to grow our skills, which we can use throughout our life. We all need people who motivate us to come to the next step. We all need rules and regulations to understand that the world is not about “me” but about “us”. Development should be part of a master plan, in which we understand that the only way to create a peaceful world is by providing development opportunities to everyone, everywhere. To guarantee the rights of a human being no matter what race, religion, age or gender, allows us to set an example for the rest of the world. It will not be an easy task but I am sure that in relation to all the idea’s, energy and will to create the opportunities for all of us, we can find a way to realize this master plan as a solution for humanity. The JCI Active Citizen Framework is a good place to start. By providing sustainable solutions to community challenges, we can ensure that human beings are empowered and that will make the difference. As visible in our framework, we cannot do that on our own, but we can work together with our partners as well as governments and businesses to create positive change. Without doubt, I am certain that the solutions of the world problems will come from the young people who are willing to be global citizens. The fourth lesson - closely related to the last one - is that governments must be accountable for their actions in the international arena, as well as in the domestic one. This might sound, as something which has nothing to do with our organization, and that certainly is my wish as well. Respecting the rules laid down in our local, national and international organization, instead of those laid down by individuals is still a challenge in so many places. However, if you look back at the first three lessons you realize that it is only possible to reach goals if you can understand who set them. As long as individuals are above the law we cannot talk about human rights or global solidarity. The only way to get this done is by allowing consensus through conversations, meaning that government is of laws. During the year, I had a lot of conversations with groups and individuals who had the feeling that government inside their project or part of the organization was not of laws. Every time I was in the middle of that I tried to bridge the gaps rather than giving out blame. I tried to clean the air so there was an opportunity for understanding, a point where individuals or groups could start. I know that I am not the only one who is taking that position. So I think that together we can reach the status where we are accountable of our actions in the domestic, as well as in the international arena. His fifth and final lesson derives inescapably from those other four. We can only do all these things by working together through a multilateral system, and by making the best possible use of our talents, opportunities and actions. This simply means that service to humanity is the best work of life. During every single visit I made throughout the year, I saw groups of young people, supported by seniors, governments, businesses and other NGOs making the difference. I saw that we all know what to do, sometimes trying to find out how to do it, but in essence we know it. JCI as a movement of almost hundred years is maybe more needed now than ever before. If we look in our history or look into the future, for sure we can see that creating development opportunities for individuals is the only way to serve. Overall these five lessons can be summed up as five principles, which are essential for the future conduct of international relations: collective responsibility, global solidarity, the rule of law, mutual accountability, and multilateralism. Major changes in the international landscape continue to unfold. Everywhere, new challenges have emerged that underscore our mutual interdependence. As a solution-provider, JCI can take the lead in empowering young people to transform passion into action. By mobilizing community, commitment and communication, the active citizens of JCI can turn the tides of history. Technology, awareness, activism and a commitment to social justice all combine to give young people an unprecedented voice as well as the tools to produce meaningful results. The leaders of tomorrow are the ones now searching for a platform to turn awareness into action. In 2012, we took bold steps in society to fulfill our Mission, Vision and Values. We embarked on a process allowing the participation of members across the world in establishing a new strategic plan that will build on recent accomplishments and also put JCI on a path to a sustainable future. Thank you for your voice in the process. I sign off humbled by the lessons learned from my leadership, but lifted by my hope that together we will transform the world, community after community, country after country. On Saturday December 15th at the Brantford Club, the 2013 Board of Directors for JCI Brantford were officially sworn into office. As almost everyone in Brantford can agree, the 38th Annual Santa Claus parade was a resounding success. What people don't know, is some of the technology behind the planning and execution of the event, some of which was pioneered by our very own I.T. 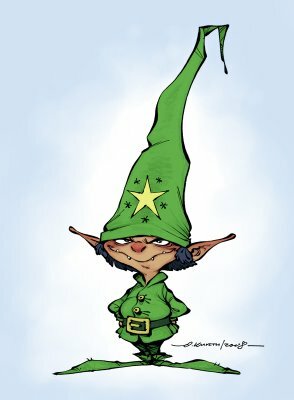 Elf, Syd Bolton. Find out more about some of the great things that he is doing on this PODCAST. JCI Members and Volunteers worked hard to receive 550 Christmas trees on November 30th 2012. Trees for the Less Fortunate is a JCI program whos purpose is to sell Christmas trees to raise funds for CRS Brant and JCI. Trees are donated to the Christmas Basket Program to be given out to qualifying families in need. Members, alumni, Senators, and friends got together for dinner at the Olde School House last night. We enjoyed fine food, drink, and fellowship. Guests from London and Burlington made the evening even more special. We have put a few photos in the scrapbook. A big thank you to all that attended. JCI Brantford ran a networking night in conjunction with the Chamber of Commerce Brantford-Brant's Young Professionals group. It was held on Thursday September 6th at Strickland's Automotive. We had a good turnout with many connections were made. A big thank you to Senator Blaine Field for speaking to the attendees about JCI. JCI Brantford is pleased to announce that the theme for this year's parade is Toys Alive! Thanks to MyCharityConnects you can participate of their free on line training sessions. They will be a great addition to your chapter training. Click on the session names for more details and register.